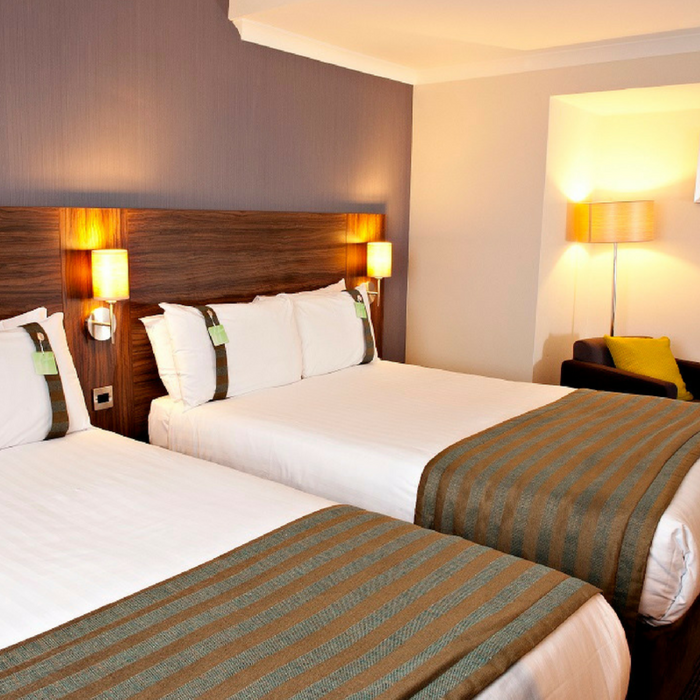 Holiday Inn Hotel Liverpool City Centre is the perfect place to stay, relax and enjoy all that Liverpool has to offer, whether you’re travelling for business or leisure. From the moment you check in, our friendly team will be on hand to ensure your stay with us is perfect, everything from accommodation to dining and providing you with information about the local area. Spoil yourself in the comforts of our refurbished hotel rooms, all of which come with complimentary Wi-Fi and plasma TV screen. You’re guaranteed a great night’s sleep in our relaxing bedrooms, complete with blackout curtains, comfortable duvets and your own choice of pillows from our pillow menu. All of our Double Rooms contain one queen sized bed and our Family Rooms contain two queen sized beds. 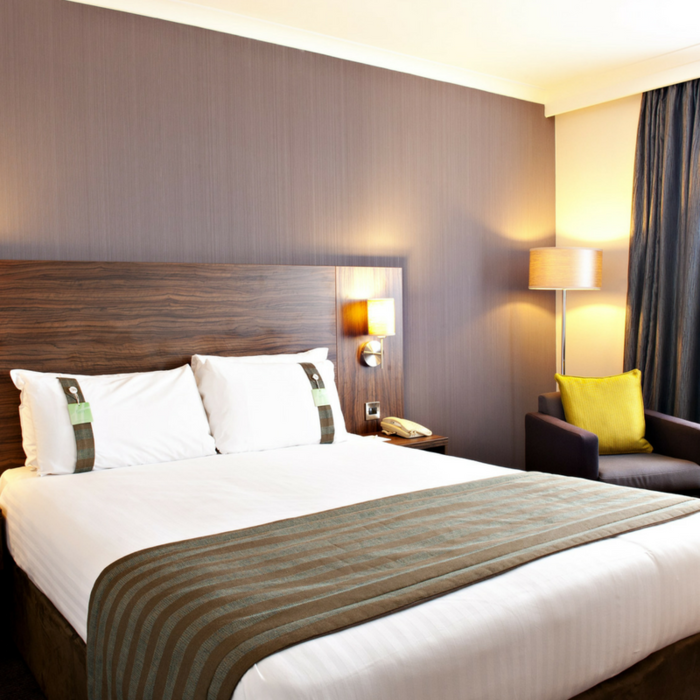 Our Twin Rooms contain two single beds and our Feature Rooms include a cosy lounge area. Our rooms are bright and spacious, so there’s plenty of space for you and all of your luggage. Don’t spend time searching for the best deals, we guarantee the best rates when you book direct with us. Plus, when you book direct with us as an IHG member, you can make the most of our member perks. Get more information on becoming an IHG member here. Our group booking rates are perfect for groups of 9 or more people. Whether you’re planning a trip with family & friends, a social celebratory getaway or a corporate event in the city our group rates mean you get more for your money. We are right in the heart of the thriving Liverpool city centre, so all of the city’s local attractions are within walking distance of the hotel. You can make the most of your time in Liverpool knowing everything is on our doorstep. Book now to secure our best available rates for your group or for more information on our rates and availability, enquire now to contact our Reservations team. Our hotel is ideal for guests travelling for business. 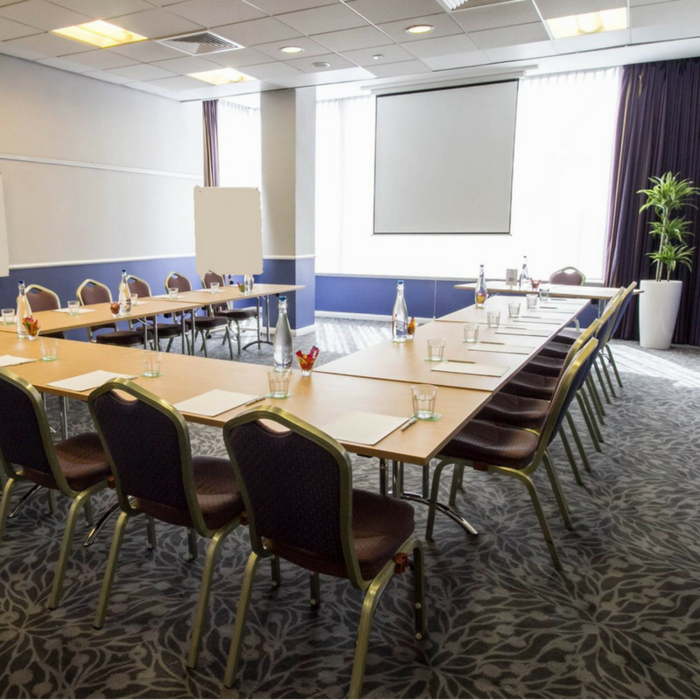 We are located right in the heart of Liverpool city centre, close to local universities, hospitals, and government offices with the Echo Arena and Convention Centre just 1 mile away. Located directly opposite Lime Street Train Station and just a short drive from the M53, M58 and M62 motorway networks. Guests can enjoy discounted car parking for £6 for 24 hours in the adjacent St. Johns shopping centre car park. The hotel also includes an E-Bar in our Open Lobby, complete with complimentary Wi-Fi, power sockets and USB ports; so you can keep right up to date on your emails. Or, if you prefer the comfort of your own room, all of our rooms include a dedicated workspace too. Book now to view our best available rates for your business stay or, for more information on our rates and availability, enquire now to contact our Reservations team. Sign up, free and become an IHG Rewards Club member today. Earn points or miles every time you stay at any of IHG’s 5,200 participating hotels worldwide. It’s an easy way to earn free stays and you are free to use your rewards points however you like. As an IHG Member you’ll receive lots of little perks too, including late check-out on request, a complimentary newspaper, room upgrade as available and priority check in. Turn your business stays into a week in the rays and sign up today. 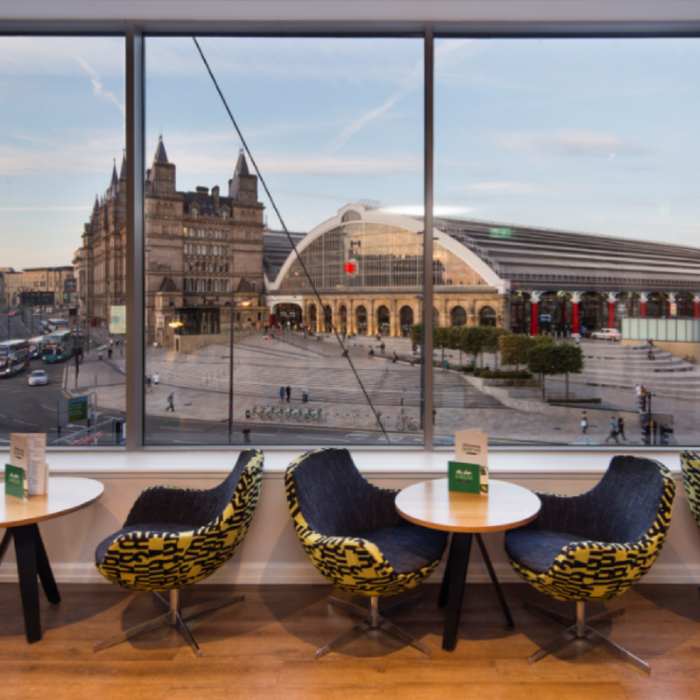 Holiday Inn Liverpool City Centre is ideally located in the heart of Liverpool city centre, perfect for any leisure break. The hotel sits in the bustling St. George’s Quarter, on the doorstep of Liverpool’s World Museum, The Empire Theatre, St. George’s Hall and just a short stroll from Liverpool’s thriving shopping district, Liverpool ONE. With fantastic attractions for all ages, Liverpool is suitable for all generations. Any Liverpool leisure break is sure to be filled with excitement as there are a whole host of attractions to choose from, including The Albert Dock, Cavern Club, Liverpool Cathedrals, Beatles Story, theatres, nightlife and a fantastic range of bars and restaurants. Check out www.VisitLiverpool.com for a list of monthly events happening in the city. Book now to view our best available rates for your leisure break or, for more information on our rates and availability, enquire now to contact our Reservations team.